“We’re kind of a variety show,” says Papadosio front man Anthony Thogmartin. Expect lights, though. Lots of pretty lights. 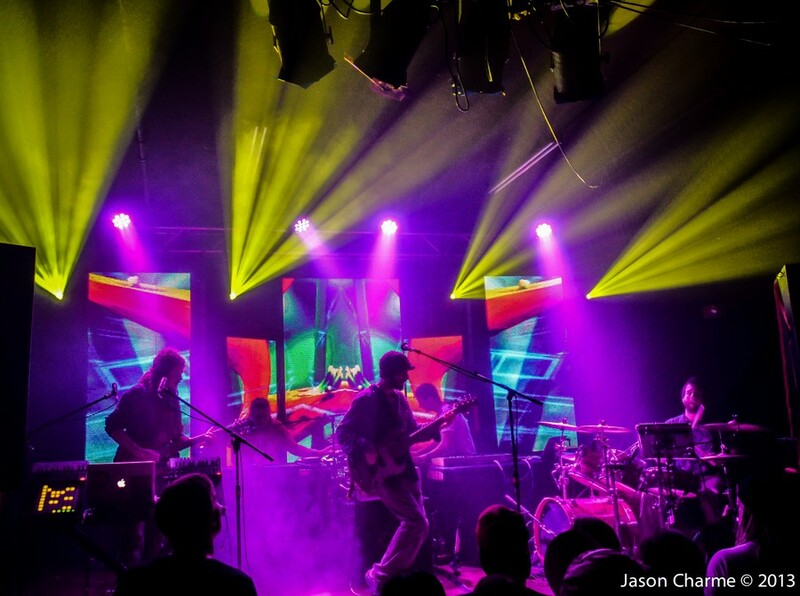 Anthony Thogmartin is the lead singer and guitarist of the Asheville, NC trance rock band Papadosio, known for its “high-energy, technologically perplexing, and utterly engaging” experimental performances involving complex lighting and video presentations. The band is touring after the recent release of its new double album To End the Illusion of Separation (T.E.T.I.O.S.). Chicago Maroon: Who and what is Papadosio? Anthony Thogmartin: We’ve been a band for about eight years. We played our first show all the way back in 2006. We basically play everything from experimental all the way to pop; I guess the best way to describe us is...we’re kind of a variety show. The only unifying factor, I suppose, is that all of our music is kind of dance music. Other than that, we really don’t have a genre that we really want to stick to. CM: On your website you say “the information age has a sound.” Are you that sound, or if not, what do you think that sound is? A: That was actually written about us. We get a lot of influence not just from musical sources, but sometimes from public speakers, folk philosophers, things like that. And one of our favorites, Paul Stamets, said that “the earth created the internet for its own benefit so that everyone could connect with each other and figure out a way to save the biosphere.” And so we really have interesting outlooks on what it means to be a band, and be artists, at this point and time in history, and we’re trying to honor that idea...We see these things (digital technology and the environment) as being able to thrive together. But right now it seems that those two aspects are at odds with each other. CM: I like the title of your new album To End the Illusion of Separation. How does music play into that idea? A: Really almost every song on that album, if not every song that we write, touches on the theme that we’re not so different from each other. You start to get it right away when you get to a faraway city and see the same music posters on someone’s wall. We wanted to write this album as our contribution to that idea. CM: So I’ve seen videos of your concerts–they’re quite a spectacle. How do you describe your performance in five words? A: Well, let’s go with, “audio visual stimulation super improvisation”. What’s unique about us is that a lot of artists that have video, or artists that are doing video in general, don’t have necessarily a guy behind the helm; it’s all scripted. They get to a certain part of the song and this happens or that happens. Well, in our band, both the lighting and the video are run by a separate person. So on the visual side we have two guys reacting to our improvisation. In our music there’s verses and choruses, but between that we’ll come up with stuff on the spot. They’re reacting to that at the same time. No show is ever going to be alike. Sometimes things happen in the crowd and we react to them. Instead of coming to see something that’s pre-scripted night after night, you’re coming to see something fresh. CM: What’s the funniest or strangest thing that’s ever happened at one of your concerts? A: There are incalculably too many to explain, but I recently thought it would be pretty fun to get a little GoPro camera and stick it on my mic stand so I could watch the front row. It’s just endlessly funny, night after night. One time there were these two girls who were very enthusiastic about the show, and one was kind of short and round, and the other was kind of tall and thin, and the short round one got up on the tall and thin one’s shoulders. And they were very top-heavy and started swaying back and forth, and it was getting really bad. I stopped playing and put my hands out and eventually people came to help. Things like that happen nightly. CM: So for those who can’t make it to the show Saturday, do you have any plans to play Chicago again soon? A: Yeah, we will always play Chicago at least once a year. Sometimes we get into a festival and sometimes we do other things, but we’ll be back. Papadosio will be playing at the Concord Music Hall, 2047 N. Milwaukee Ave. this Saturday, April 5. Tickets are $14.50 in advance or $16 at the door.